Verterra is excited to assist horticulture growers in the Burnett-Mary boost their productivity and profitability whilst helping protect the Great Barrier Reef. Through detailed farm mapping, soil analysis and agronomic advice, the project will give growers the tools to improve productivity while minimising sediment and nutrient loss. Verterra will work collaboratively with local agronomic advisors alongside current benchmarking of best practice to get the best outcomes in nutrient management and soil health for improved productivity and reef water quality. 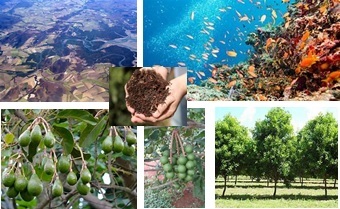 The Burnett-Mary Horticulture 1-on-1 — Delivering Tailored Solutions (RP209H) project is funded by the Queensland Government through the Queensland Reef Water Quality Program and will include up to 60 macadamia, avocado and sweet potato growers in the Burnett, Mary and Burrum sub-catchments until June 2021.